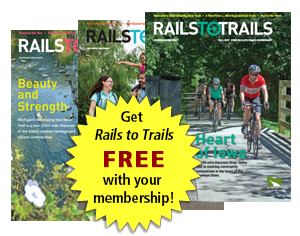 Your year-long membership includes three issues of Rails to Trails magazine, plus the online Green Issue—delivered to you FREE! 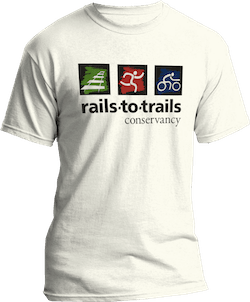 Your membership will also be supporting Rails-to-Trails Conservancy’s work to build, maintain, defend and connect trail corridors across the nation. That means even more trails for you to enjoy in your area! How much would you like to give to become a member? Give to receive your exclusive RTC Member T-shirt.